Happy Sunday, space fans! Here's what was spinning through our galactic neighborhood this week! Africa and the Mediterranean Sea, under a full moon. Just another enchanted evening in orbit. It's hard enough running a marathon in full gravity, but how about in micro-g? Well, with a proper harness, a live TV feed of the runners, and a whole planetful of motivation, it was a job that ESA astronaut Tim Peake completed last Sunday. The endeavor was not only a great athletic feat, but also provided data for the Energy experiment, which seeks to better understand what "fuel" astronauts must consume to offer them optimum energy for performing their space missions. 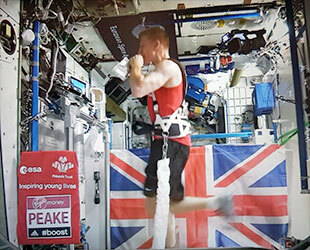 Peake ran the London Marathon on the ISS's exercise treadmill while in sync with his fellow earthlings via the RunSocial app and a live video feed, which he said was "extremely motivating." You can read his blog on the experience here. He completed the race in 3 hours, 35 minutes...enough time for the station itself to take about two full laps of the planet! weathered his tethers to finish the London Marathon in record time. Previously, NASA astronaut Sunita Williams had run the Boston Marathon in a similar fashion aboard the ISS, completing the race from space in 2007. However, Peake's time for the 26.2-mile London Marathon was good enough to earn him the Guinness World Record for fastest space marathon ever. Well done, Astronaut Peake! In other news, this week the ISS crew prepped to send the SpaceX Dragon back home. Experiments, gear, hardware, and other cargo will be returned when the Dragon splashes down on May 11th. Unlike some other spacecraft, the Dragon is not designed to burn up upon reentry, and can safely deliver its scientific payload to Earthly engineers. That's the Dragon there on the left, breathing the "fire" of a space sunrise. 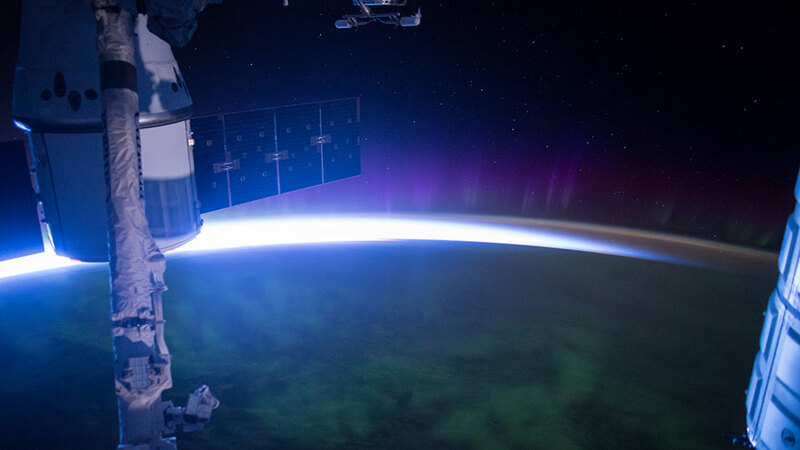 The astronauts also worked on a variety of science experiments, including assessing Earth's forest coverage from space using hyperspectral and infrared equipment, and obtaining a better understanding of emissions interactions with the atmosphere during dynamic trips to orbit. A Filipino microsatellite was launched from Japan's Kibo module, with a mission of monitoring Earth's climate for potential weather troubles. Want to see what the station spots in real-time? 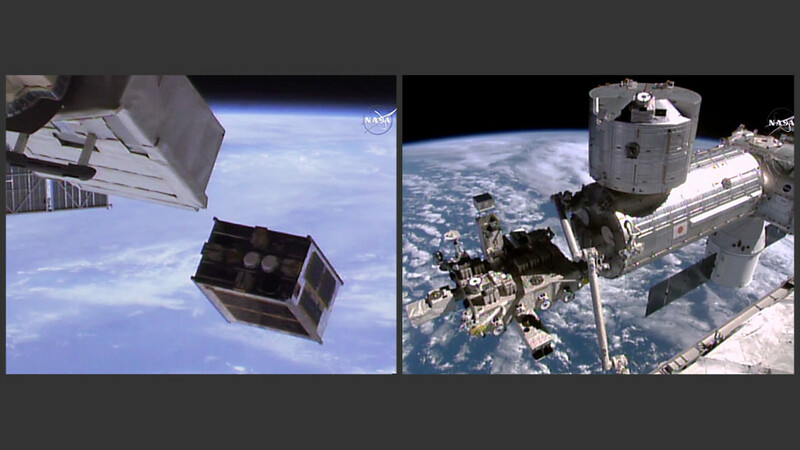 Use this live ISS HD feed to constantly spy on our beautiful blue marble. Sure, sometimes it dark, but sometimes its glorious...just like our existences down here. Namibian sand dunes, including one called "Big Daddy." That's all for this week, space fans! We hope to entertain and educate even more Earthlings next time...watch this space! you too can set sports records IN SPACE!